For quite some time now, I’ve been hearing that C++ has been undergoing a resurgence of interest; a renaissance. However, until recently, I couldn’t tell if the claim was real, or just some hype coming out of the C++ community to fruitlessly combat the rise of a plethora of new languages. Well, I’m convinced that the renaissance is legit. 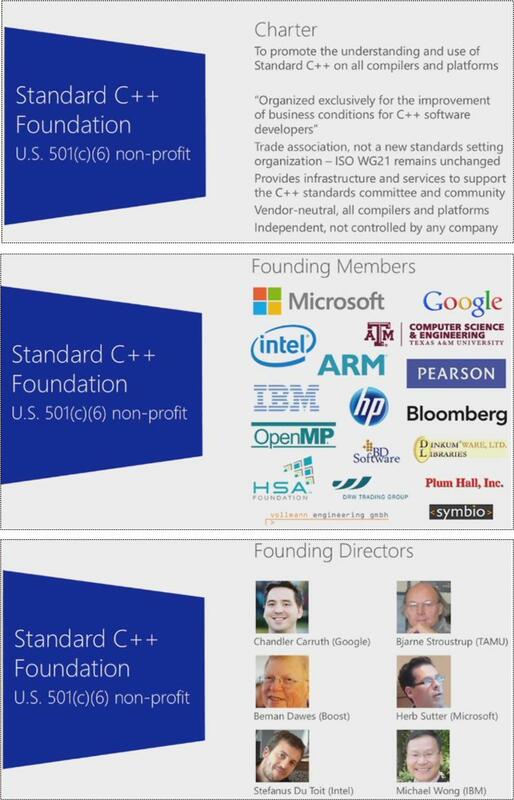 The slides below, pilfered from Herb Sutter‘s “The Future Of C++” talk at Microsoft Build 2012, introduced the formation of a new C++ trade group, the “Standard C++ Foundation“. Note that there are some big guns with deep pockets backing the foundation along with a cadre of brilliant and dedicated directors at the helm. It’s a good time to be a C++ programmer, so join the renaissance and start learning the new features and libraries offered up in C++11. Of course, if your technical management is not forward looking and it’s tight with training dollars, you’ll have to do it on your own time, covertly, behind the scenes. 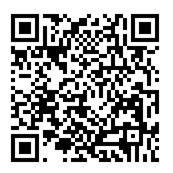 But it will not only be fun, it will enhance your marketability. I’m lapping it up like a hungry puppy. This “new” language is so powerful and “earthy” it inspires me to *try* and do great things!